While the Western world has a dining out culture that includes breakfast, where people get together with their loved ones and friends at a café and talk about their week over hefty turkey and brie omelets, in Japan the concept is still almost non-existent. In saying that, there are a few cafes and restaurants in Kyoto that do serve breakfast. Delicious breakfasts, might we add. For those of you who are wanting to continue your breakfast traditions in the ancient capital, here are some of the best places to start your day right. 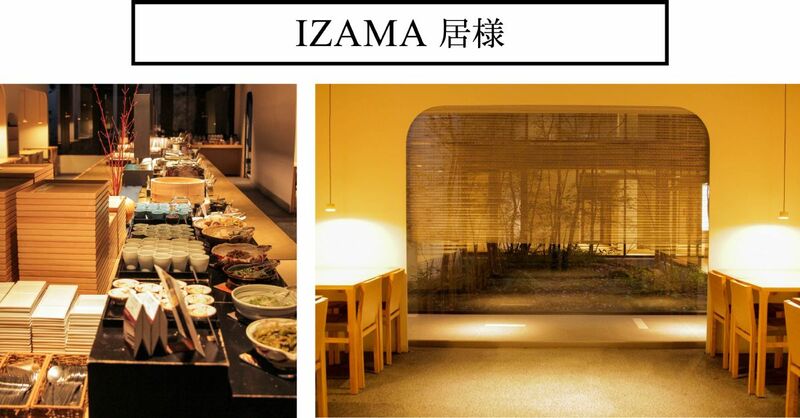 If you plan to go to Izama for breakfast, make sure you go hungry, because Izama offers a very delectable buffet. Yes, buffet! The buffet serves not just Japanese food, but also features Western food for those who might be missing scrambled eggs from back home. The long table in the center of the room is covered in bowls and plates that are filled with local favorites such as hijiki, koya tofu, okura, and daikon radish. It’s not just the food that is beautifully presented, with tableware so stylish it makes choosing dishes even more exciting. The interior of the restaurant is also the perfect example of what a great job Kyoto does when it mixes tradition into contemporary design. 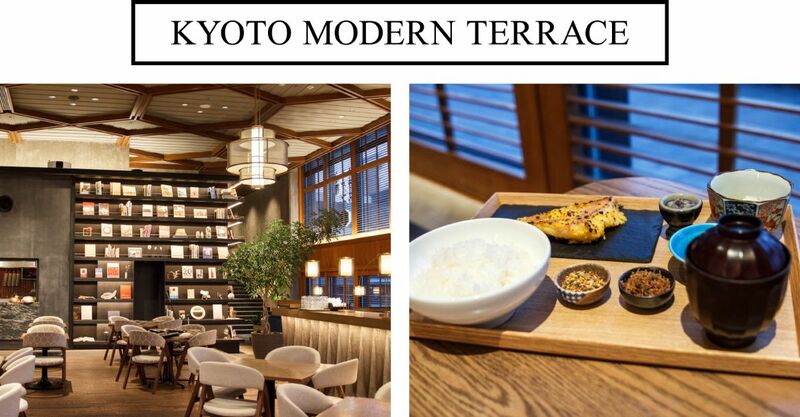 Kyoto Modern Terrace is a place you should go if you want to feel a bit fancy. The large open-space restaurant is decorated with lavish lights, a terrace deck that overlooks Okazaki Park and a sleek bar that looks straight out of an upmarket Ginza club. Very stylish! The restaurant offers both Western and Japanese-style meals. The Western-style breakfasts include a well-presented fruit sandwich (nothing like what you will find at your local corner store) or a toast set option that includes eggs and locally sourced ham. One big selling point of the Modern Terrace is that the place feels and looks quite upscale, but the prices are very reasonable. Situated conveniently in the city center, Iyemon Salon offers a stylish Japanese “wa” atmosphere and a wholesome breakfast at a reasonable price. 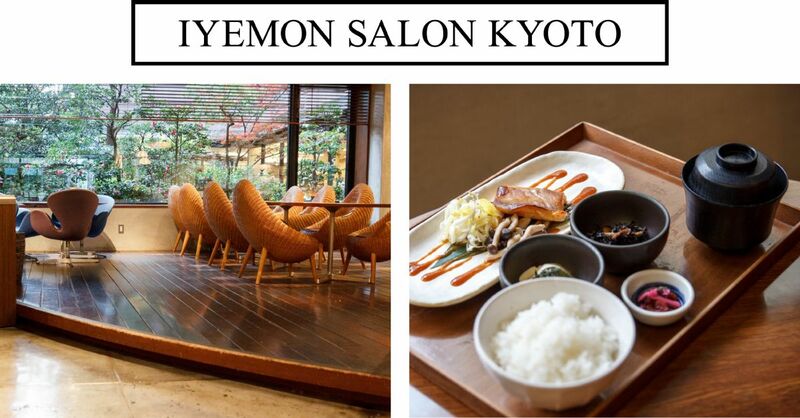 At Iyemon Salon you can enjoy delicious Japanese meals starting from 570 yen. While the daily set menu is popular, if you are after a simple and authentic Japanese breakfast, we recommend you try the tamagokake gohan, which is rice served with boiled egg. Since these delicious breakfasts attract many people, please keep in mind that you might have to queue for a table. We promise you it’s worth the wait. 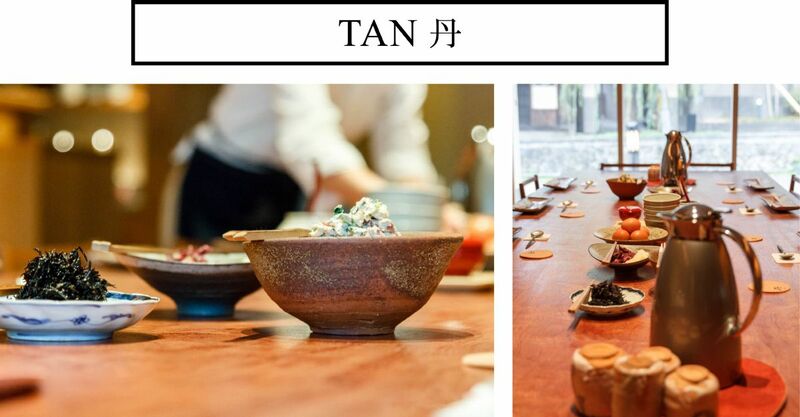 Tan is a new Japanese-style restaurant located riverside in Higashiyama. The restaurant, which serves healthy Japanese meals, is named Tan because they get their fresh veggies and rice from KyoTANgo, a seaside town in the north of Kyoto. Because they wanted people to feel “at home”, they have a long wooden table in the center of the restaurant where strangers come together and share the meals that are placed there. For breakfast, people are spoiled with the choice of bread or rice, miso soup and 6-7 dishes all prepared in an authentic Japanese style. 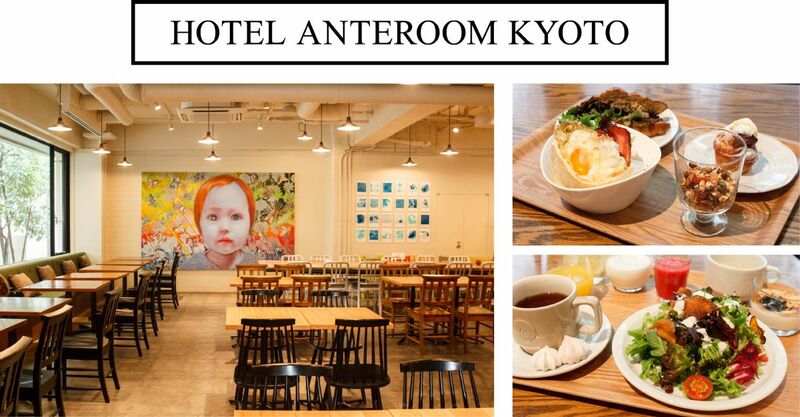 Located in the south of Kyoto a bit out of reach from the city center, Hotel Anteroom’s 1,000 yen buffet breakfast will definitely make you hop on the subway just to get there. This boutique hotel is a popular hang-out spot for young and trendy locals, popular because of a) their delicious breakfasts and b) the interesting exhibitions the hotel puts on in their art gallery. 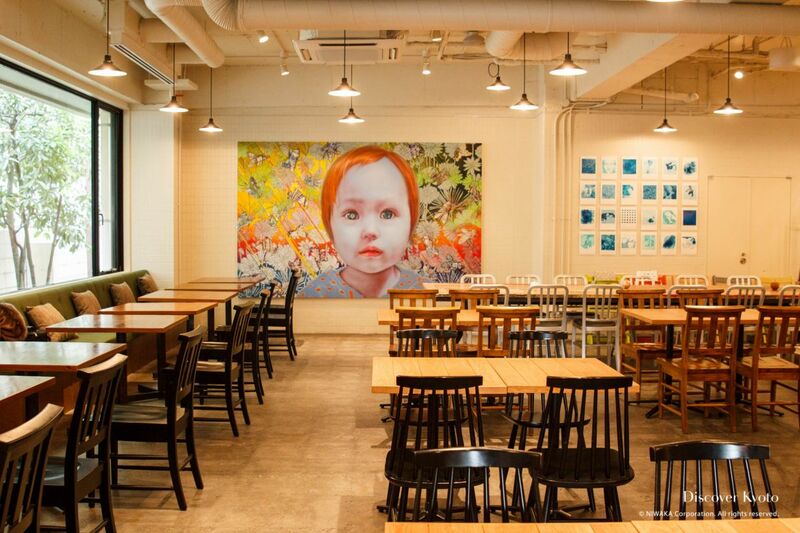 Visitors can also enjoy some artwork in the café area while they dive into their breakfast. The extensive breakfast course starts off with you choosing three main dishes (yep, three) out of four choices. Then, you get to paint your plate pretty by choosing salads, yogurt and seasonal deserts. The hotel likes to change their side menu according to the season so guests don’t get bored. The buffet also has a drink bar that includes nourishing beverages such as lemon and herb detox water.